Four volunteers start to plant trees in La Mesa Watershed’s forest. 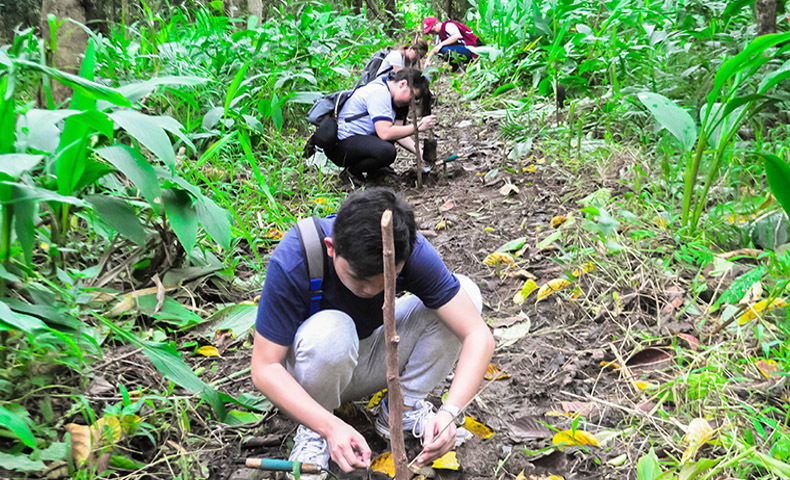 Two hundred and thirty – six volunteers planted a total of 2,000 trees during the first ABS-CBN Lingkod Kapamilya Foundation-Bantay Kalikasan’s tree planting activity at the La Mesa Watershed. Ricardo Santos, 70, one of the volunteers of the tree planting activity. One of the volunteers who joined was Ricardo Santos, a 70 year old Rotarian from Commonwealth. 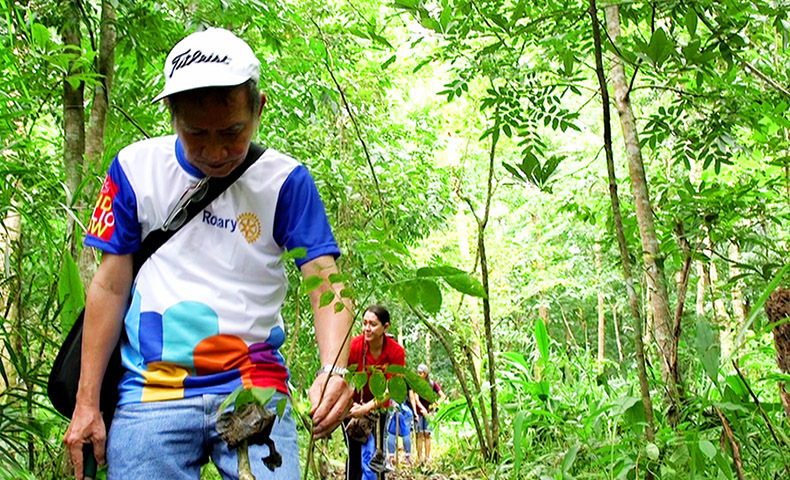 He said that being a resident of Quezon City, he is one of those who will directly benefit from the trees they planted. Santos explained that they would be the first to breathe fresh air generated by the trees. He also stated that preserving the watershed is vital to Metro Manila’s water supply. The tree planting activity was organized as part of Bantay Kalikasan’s commitment to the Annual 1 Million Tree Challenge of the Metropolitan Waterworks and Sewerage System, in celebration of its 140th anniversary. The environmental arm of ALKFI committed to plant at least 140,000 this year. “The spirit of volunteerism is alive. People are looking for opportunities where they can learn new things and do service for the common good,” she added. In 1999, Bantay Kalikasan took on the rehabilitation of the La Mesa Watershed together with MWSS, Maynilad, and Manila Water.